Все видео пользователя: Maksim Nikitochkin. 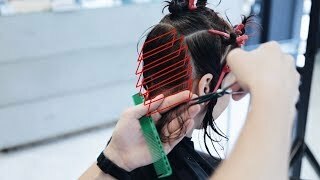 From this haircut tutorial you will learn how to cut beautiful bob for curly hair. I used the mix of disconection, graduation, layers to create an original shape with accents on the sides.